This wine opened the low-key but very impressive tasting at Chateau Calon Segur. Pretty red-fruited nose, quite bright and floral. Palate more serious lovely power and push at core. This is poised and classy stuff. Beautiful balance, recommended. 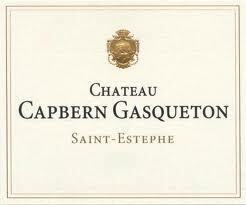 Chateau Capbern Gasqueton in Bordeaux has been in the ownership of the Gasqueton family, owners of the 3rd classed Growth Ch Calon Ségur, for 10 generations. 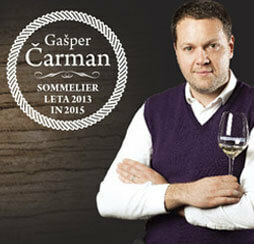 It is a Cru Bourgeois, located close to the best part of St Estephe, and has 41 hectares under vine. Unsurprisingly in view of the excellence of Calon Ségur at present this is a well-run estate, producing wines of charm and structure capable of lasting comfortably 10-20 years in good vintages. The fruit is all hand-harvested and oak is used judiciously, with only one-third of the barrels new each year. 10,000 cases are produced and in the context of the current pricing of top Bordeaux we regard this as offering excellent value for money.